Following speculation that general insurance brokers might have been impacted, they will be breathing easier after High court justice and Royal commissioner Kenneth Hayne said there will be no changes to commission, at least in the short term. 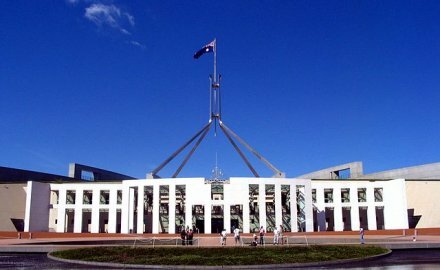 However Hayne did recommend a review of general insurance commissions in three years, or no later than December 2022, and ordered that claims should be defined as a financial service meaning they could generate far greater oversight from the Australian Securities and Investments Commission (ASIC). Hayne made other recommendations to Australia’s insurance community in the final report of the Royal Commission into Misconduct in the Banking, Superannuation and Financial Services Industry. Heavy handed selling of insurance products will be banned, while the report wants to impose a cap on the commission that can be paid to car sellers for add-on insurance products. The decision around life insurance commissions will also be decided by ASIC. Meanwhile funeral expense insurance policies would be defined as a financial product, bringing it under the oversight of ASIC. All financial firms been recommended to perform a minimum of an annual review for the design and features of their remuneration systems for front-line staff, and all firms should assess their own culture and governance. Hayne recommends retaining ASIC and the Australian Prudential Regulation Authority but instead have them overseen by a new independent authority that would assess the two regulators to ensure they are carrying out their responsibilities. ASIC will need to overhaul its approach to enforcement, with a focus on court action rather than infringement notices, while in future it should name the companies who have made breaches to regulations rather than just the type of breach. Insurance Council of Australia chief executive Rob Whelan said: “Repairing public confidence in general insurance is essential if we are to continue to provide effective and efficient risk-based products to households, businesses, governments and the broader community. Whelan added: “General insurers back the retention of the twin peaks regulator model and will contribute to a consultation on the establishment of a new oversight organisation. Several recommendations, including those relating to add-on insurance and unfair contract terms, are already being addressed by the industry and ASIC. The association also noted that the recommendations will be taken into account in the final version of its revised General Insurance Code of Practice, which the ICA will launch in several months. The code will include a greater focus on customer service, financial hardship and sanctions for code breaches. The full report is available here and the Australian government has said they will implement the reforms. Aussie giant is in potential further trouble over the sales of add-ons at a former subsidiary.